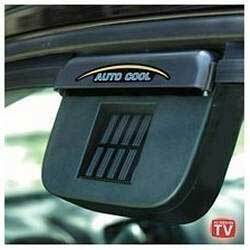 The original Auto Cool keeps your car cooler! This solar powered ventilation system keeps cars cool no matter how long they are left in the sun! The brighter the sun gets, the more power Auto Cool’s solar panel generates, to keep your car cooler!